BodyPump is a class that works with weight and resistance to provide the workout. Whether you want to tone or tone and build strength, a home studio pump set is easy to use and pretty cost effective to buy. Pick from a range of bodypump sets we have on offer. Despite being around studio classes since the early 90's, as a home gym essential the studio body pump sets have not exactly flown off the shelves. However, as more people look to get fit, tone up and build some muscle strength, the low weight - high repetition BodyPump option is gaining momentum. With the chance to buy a bar with a small range of weights, the 70 - 80 reps that you'll typically do with each muscle group means over a 45 minute session you'll be doing around 700 - 800 reps in total. That will raise your heart rate nicely and get your body really working hard to finish the class. We have a range of colour coded sets as well as an all black rubberised set. Body Pump started in 1991 in New Zealand by Les Mills. The classes he started are a mix between cardio and muscle workout. The idea is to burn calories and work each muscle group including the chest, back, shoulders and abs. So they mix aerobic exercise with weights. Body Pump is now in 70 countries and is offered in 10,000 health clubs worldwide. Body Pump now quote that 3,000,000 people worldwide use the system. Most exercises are based around weights ranging from 1kg-5kg and a step routine. All of this is done to music, the choreography is deliberately designed so that each muscle group is well worked. In one class you can carry out 800 repetitions of varying exercises but again the weights used remain quite light. Each body part can therefore experience 70-100 reps each. Body Pump claim that an individual can burn between 560-1,000 calories in each class. You may want to buy your own equipment to visit a class or perform this at home. Body Pump say that to achieve the proper effects you need to follow a body pump regime at least 3 times per week on non -consecutive days. What is Typical Body Pump Equipment? Essentially the body pump equipment is a bar, plates of different sizes, clips to keep the plates in place and a step/bench. The exercises that you carry out with body pump include squats, chest press, dead row, clean and press, press pullover combo, lunges and reverse curl. What's the Benefits of Body Pump? There is some controversy about whether body pump really is as good as they say it is. It will undoubtedly be great for people starting out in fitness or returning to it after a break. It is also highly motivational. Les Mills and the Body Pump brand do claim that you can burn 250-600 calories per class, will improve your strength, shape and tone your muscle and improve your bone density. What's The Concerns about Body Pump? Some people question whether body pump really does do all it says and whether there are better exercise regimes to follow. Other concerns are that poor technique may go uncorrected, this is certainly true at home and also in a large exercise class. What to Consider When Buying Body Pump Equipment? When buying barbells do try and buy vinyl coated so they don’t rust or chip. Vinyl are also gentler on home floors. Some body pump exercises also require you to hold the barbells in your hand so vinyl will be more comfortable. Make sure you have a range of weighted plates. For body pump they will come in 2.5lbs, 5lbs, 10lbs and 25 lbs. 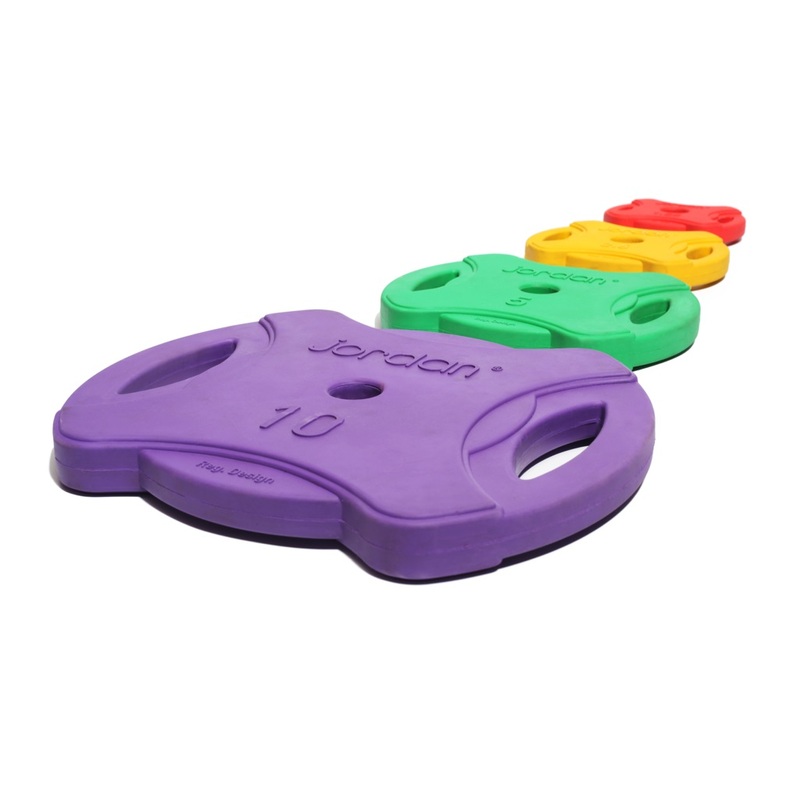 A pair of good quality speed safety clips that will hold your barbells on safely are also essential. They will also ensure that you work out in a stable and balanced way. When buying a step check out that it can be built up. This will ensure that you keep that heart rate up and ultimately burn calories.